...and the subsequent obsolescence of this flash fiction piece I dragged my feet on publishing. Enjoy! On my work fridge someone hung up a missing poster for the Twin Peaks character Laura Palmer, met with an angry note that “Laura was never missing". At first I sneered at this blatant display of Peaks poserdom. But then I realized this person has created a parallel universe in which the subject of Twin Peaks was the disappearance of Laura Palmer, not her murder, while simultaneously casting doubt on the reality of representation in the Twin Peaks program, and the perceptions of its characters. Thus, they have induced a transcendental state of indistinction between fiction and reality, rooted in the plasticity and subjectivity of both, and their inextricable interrelation. 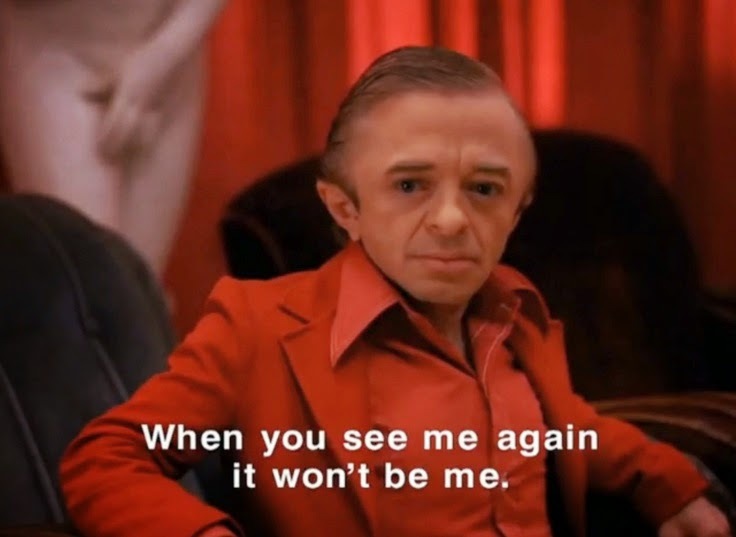 This lead me to the conclusion that this poster was placed on my work refrigerator by none other than David Lynch himself, and that its readers, myself, and now you, are all part of the Twin Peaks story, which is actually still being written, somewhere in that misty realm between sleeping reality and waking dreams.